Most of us already know that Barcelona is a Mecca for TEFL teachers. 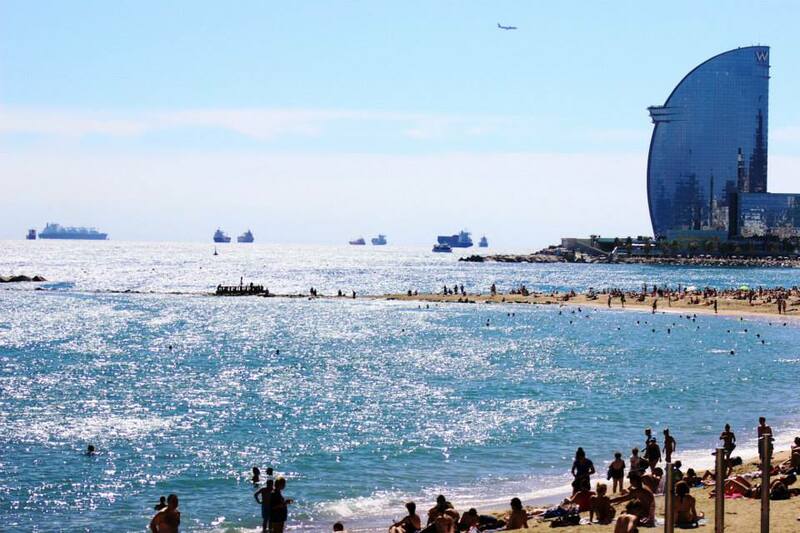 But does becoming a TEFL teacher in Barcelona really pay-off? For those thinking about taking the leap, here is our step-by-step guide to becoming a TEFL teacher in Barcelona. Photo: Barcelona, by Fran Austin. Barcelona is teeming with TEFL teachers in training or giving language classes all over the city – and despite the downturn in the economy, business is booming. To begin your career as a TEFL teacher, first you need to choose which Oxford TEFL course is best for you. There are a number of options: from Online TEFL Starter courses, for those who just want a taster, to our one month face-to-face intensive course, the Trinity Certificate in TESOL. The best choice for you depends on your situation, though face to face courses tend to have a better success rate due to it being more dynamic, with extra support from fellow classmates and tutors. To sign up, you will be required to prove your ability to cope with the academic demands of the course. This could mean having a university degree (in progress or finished), or skills acquired through work experience. You should also have the ability to communicate fluently in spoken and written English and have an interest in teaching and learning. If you fit the bill, you can sign up to your Oxford TEFL course – and it couldn’t be easier. In fact, you can do it without even leaving your seat! But that is the easy part. Actually packing up and getting on the plane may be the most difficult thing you have to do. But don’t be dissuaded – you have come this far already (and telling your friends and family you have chickened out may be harder to do). Remember that this is the chance of a lifetime to get that job, live abroad and realize your dream. And it makes sense to sign up to the course while still on home turf. If you sign up 2 months before the start date, you can also take advantage of the ‘early bird’ promotion and receive a discount! If you opt for the one-month intensive course, as is most commonly the case, you can expect to receive around 120 hours of training. This includes theoretical and practical input sessions. Expect to begin teaching on the second day, with peer observations during most classes. However much this sounds like you have been thrown in at the deep end, it’s the only way to get you started as soon as possible on the path to TEFL success. Procrastination is not the solution! You will need to complete assessments in five main areas that test your theoretical and practical knowledge as well as reflections upon reflections upon reflections. Think along the lines of ‘I did this, and then I did that, so that this could happen, but I could have done this instead.’ Does that make sense? As the name suggests, it’s intensive! If you pass, you can expect to receive your certificate about a month after completion of the course. We will give you a certificate to prove you have completed the course in case you need to show it to potential employers. And now you are ready to start your new career! Recruitment is done locally so you should try to be actively looking for work in mid-August, ready for September or October courses. It’s possible to find some work during other times of the year, but you may find that you are going from one side of the city to the other giving private classes here and substitutions there. Some schools will have policies whereby they will only hire native speakers due to client requirements but good English and a Trinity Certificate in TESOL or Cambridge CELTA will usually be more important. Teaching contracts will vary. Most schools are likely to offer you a contract from September/October until June. Other schools might pay you per class in cash with no questions asked. Perhaps a school will offer a low hourly rate but pay for travel and holidays and throw in teacher training and language classes. Make sure you know exactly what’s included before you sign on the dotted line. In the summer, you’re on your own, so you should budget accordingly. Saying that, there is always the opportunity to work on summer camps around Barcelona, which is hard work but can be fairly well-paid if you have your accommodation and food provided. If you don’t like working with children it is not recommended! Classes with a language school can pay anything from €10 to €20 an hour, though it is likely to be at the lower end of the scale for newbie teachers. For private classes, charge between €15 and 20€ an hour to start, with the option of rounding it down for block hours. This also depends on where you teach, since they should pay a bit extra for any commuting transportation costs, if you teach young learners, or if you teach exam classes. If private classes are your main income, you’ll also need to register as autonomo (self-employed) if you’re going to keep things above board. In-company classes tend to pay more but as you have to travel to the company, you need to take those expenses into account too. Remember you might spend a lot of unpaid hours on the bus or metro. If you have 10 teaching hours a week, then you could be earning 560€ – 600€ a month. A full-time TEFL schedule would have 20-25 teaching hours. If you can achieve this, you could earn 1300€ – 1400€ a month. However, there’s a chance you won’t get a full-time teaching timetable during your first few months after completing the course. You’ll also probably be overwhelmed as a newly qualified teacher with all the lesson-planning you have to do! So you might start off with 10-15 teaching hours at a language centre, combining it with more teaching hours as a private tutor to students around the city. As your employers get to know you and get positive feedback from your students they’ll eventually offer you more teaching hours. And remember that being a good teacher is not just about being able to explain grammar. You should also be sensitive to student needs and have good rapport with them. If you can nail it, the students will keep coming back. The NIE is used as your official ID in Spain as a foreigner and is used to get a bank account, obtain a contract for a flat in your name, join the gym, get a mobile under contract, and many more things. If you are a member of the European Union, you are allowed to legally work in Spain and stay for a long period of time. At the end of 2012 there was a change in the law for EU citizens that want to get the NIE in Spain. Since they don’t want to give the number to just anyone when they might not even end up working/paying taxes, it is now a requirement for those that want to get the NIE to have an offer of a contract. Once you’ve been offered a teaching job you’ll have to begin the process of getting your N.I.E. You will need to book an appointment, taking printed proof of this appointment, as well as the original and a photocopy of your passport, a letter from your employer as proof of your job offer and completed forms EX-15 and/or EX-18 (with a copy of each). You can make your appointment here and print the forms here you need here. Many people have long and fruitful careers as TEFL teachers. Naturally, many teachers continue with their professional development over the years; picking up tricks of the trade here, fine-tuning skills there. At OxfordTEFL we offer teacher workshops which are free to all of our staff. 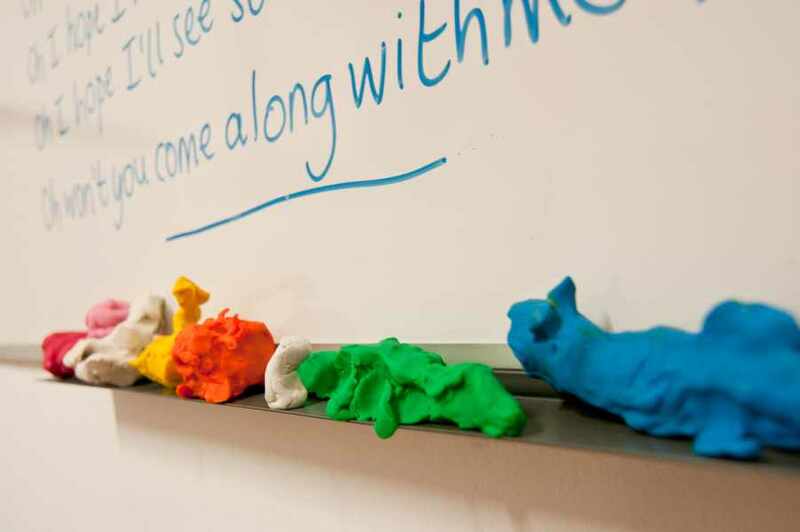 Teaching a foreign language is a challenging and rewarding profession. There is nothing quite like listening to one of your classes produce something you have taught them just one hour before, and then heading down to a local taverna for a relaxing café con leche with your workmates. So if you are thinking about taking the leap and beginning a new career here in Barcelona, get in touch! Teachers here at Oxford House share their views. Most of us already know that Barcelona is a Mecca for TEFL teachers. But does teaching English as a foreign language here really pay-off? This entry was posted in Barcelona, Careers, Location information, TEFL, Tips by Fran Austin. Bookmark the permalink.